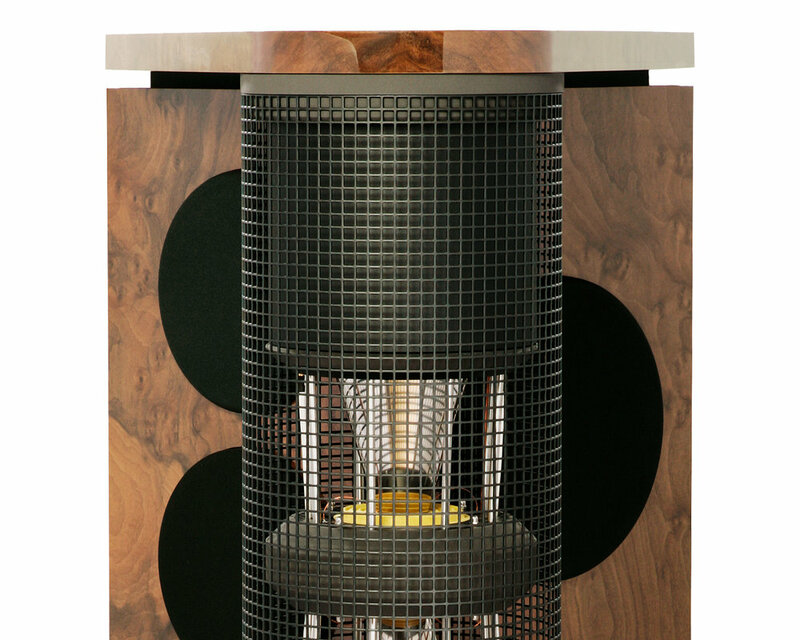 The design brief for the PQS-402 was to produce a listening experience comparable to that of our Loreley model from a loudspeaker with a smaller cabinet, thereby making our reference level products available to a wider audience. As well as the usual impressive German Physiks attributes, the PQS-402 also boasts a very wide dynamic range that comes close to its larger stable mate. Because we wanted to cross over the DDD driver to the woofer between 220Hz and 140Hz, we had to find a way to build a very fast bass system that could match the speed of the DDD driver in the crossover region and also work down to 25Hz. To reproduce low bass at high levels a lot of air has be moved. This requires either a driver with a large surface area, which will be heavy and therefore not easy to move at the speed necessary to match the DDD driver, or a driver with a long excursion, which again will be heavy due to the rigidity required to withstand the necessary acceleration. Most loudspeaker designers solve this problem by producing a 3-way system. However, in a loudspeaker the size of the PQS-402, a 3-way solution would have been worse than a 2-way solution, due to the difficulty of making 3 drivers appear to be a single source. This is especially difficult with the mid and treble drivers, where the ear’s ability to locate position is very acute. It can be done, by why bother when you have a better solution? Our solution was to build a bass cabinet using a fast and powerful 10-inch driver and two 8-inch passive radiators. The 10-inch driver integrates flawlessly with the speed of the DDD drivers and the passive radiators extend the bass response smoothly down to 25Hz as required. The final system comprises 2 bass cabinets that are mounted one on top of the other and stand between a top and a bottom plate. None of these components is attached to the other using screws or any other form of hard connection. Instead they are held together by a system of interlocking collars. This, combined with the fact that the two cabinets have different weights, as do the top and bottom plates, means that resonances are reduced to negligible levels compared to a solid structure. 2. It has an exceptionally wide operating range. 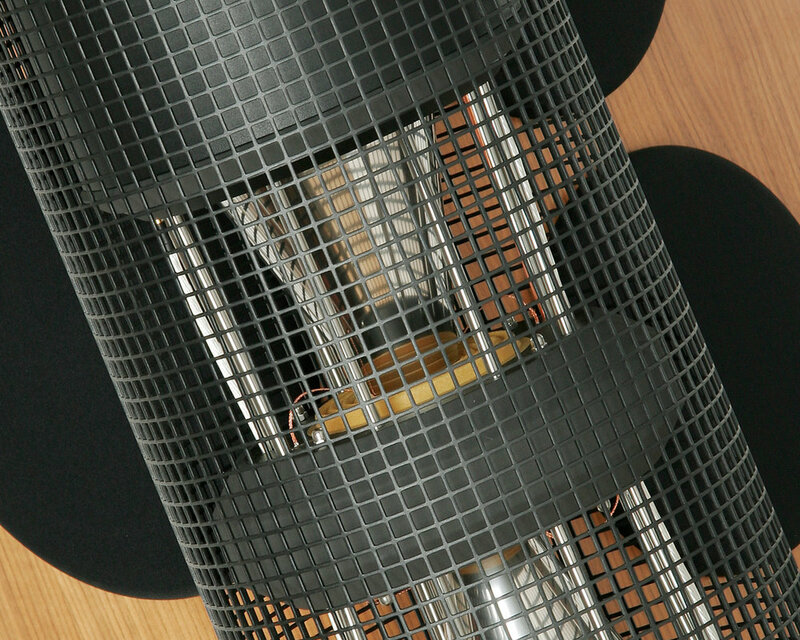 In the PQS-402 it covers the range from 215Hz up to 24kHz – almost 7 octaves. This is because the DDD driver's omnidirectional radiation characteristic creates an enveloping sound field like that in the hall, rather than beaming the sound at you as conventional drivers do. This way the PQS-402 is able to recreate a more natural rendition of the original stereo image. This has excellent depth and focus, but without the overly sharp image definition that some hi-fi loudspeakers produce and which you will rarely if ever hear at a live performance. As you are not restricted to a small “sweet-spot” in order to hear the best sound, the PQS-402 provides a more relaxed listening experience. This is especially noticeable when you listen for long periods. This is because the DDD driver is phase linear across its operating range. This together with the excellent dynamic response, enables the PQS-402 to reproduce percussion with startling reality. Voices have a clarity and purity that can be breath taking, with all the elements of the vocal sound correctly located in space and with no undue emphasis. The hardness you often hear with conventional tweeters is eliminated and you get a greater sense of hearing a live musician. 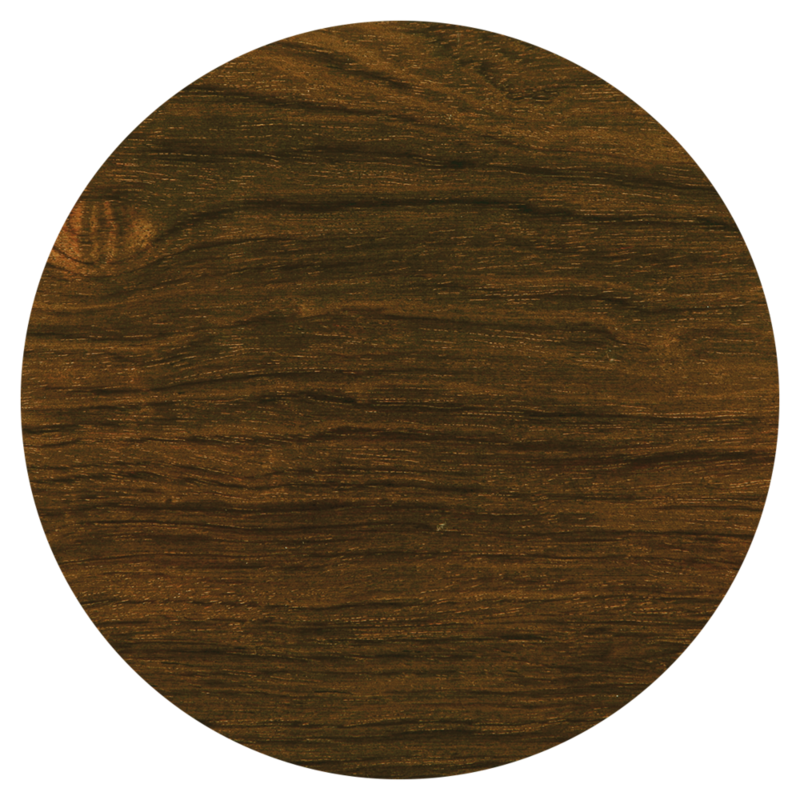 Colouration caused by resonances in a loudspeaker cabinet, where the cabinet itself starts to radiate sound energy,can seriously degrade the sound quality by obscuring detail. 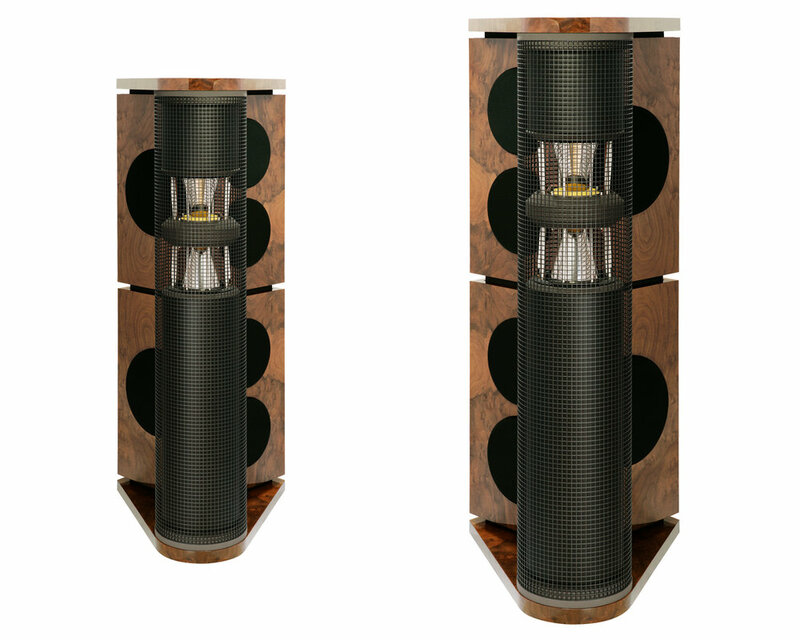 Because ofthe very high sound level capability of the PQS-402 (118dB), we went to great pains to design a cabinet where resonances were minimized, as these would otherwise degrade the loudspeaker’s ability to resolve the fine detail that is essential in order to produce a sense of realism and hence convey the emotion that is the essence of a musical performance. The PQS-402’s DDD drivers use very small enclosures, minimizing the area of any potential vibrating surface. By being cylindrical, they eliminate the resonances that can arise with a conventional rectangular or square section cabinet. Because they are made from aluminium, a comparatively soft metal, residual vibration of the enclosure is minimized. The DDD driver enclosure end-caps are made from non-resonant MDF and the enclosure is packed with damping material to dissipate any standing waves. The result is that the PQS-402 has the clarity that we normally associate with electrostatic loudspeakers and for the same reason: they essentially have no enclosure to colour the sound. The bass system, which covers the range from 215Hz downwards, is divided into two independent cabinets, so the panels are smaller and therefore stiffer and more vibration-resistant than if a single large enclosure had been used. All the cabinet vertical surfaces are non-parallel to prevent the formation of standing waves between them. Internal bracing increases rigidity to suppress resonances. Residual vibration is minimized by applying a special damping material called Hawaphon®, to the inside surface of each panel. The crossover provides a wide range of adjustment to allow the PQS-402 to be better set up to suit the user’s listening room. The high frequency level may be adjusted over the range -2dB to +4dB in 4 steps and the low frequency level may be adjusted over the range +10dB to 0dB in 3 steps. The low frequency control has no effect above 100Hz and we have applied for two patents to cover the novel approach that we developed to achieve this. Both controls are facilitated by high quality jumpers located on the loudspeaker’s rear panel and may be quickly and easily adjusted. Two sets of high quality WBT nextgen™ loudspeaker terminals are fitted allowing the PQS-402 to be bi-wired or bi-amped. High quality jumpers are supplied to enable the loudspeaker to be used with just one set of loudspeaker cables. The PQS-402 may be ordered in an active version, where the internal passive crossover is omitted and the woofer and DDD driver sections of the loudspeaker are driven directly by two separate power amplifiers. This allows much better damping and control of the drivers and provides a noticeable improvement in transparency. The active version of the PQS-402 is supplied with our new Emperor Extreme DSP based digital crossover. This is a high quality unit constructed using premium components and is housed in a heavy steel and aluminium chassis. As you would expect from a German product, the quality of construction and reliability are first class. We use the same quality of parts in the PQS-402 as in our reference products, where we design for a minimum life expectancy of 25 years. For this reason we have selected highly corrosion resistant V4 grade stainless steel for the DDD driver support pillars, terminal mounting plates and all the screws. Meticulous care and attention is paid during the manufacture of the PQS-402. Prior to assembly all components and materials are subject to a rigorous inspection. We also carry out detailed inspections at each stage of the manufacturing process. We can afford to do this as we build our products by hand in small batches. After assembly, the performance of each loudspeaker is measured. Then it is burnt in for at least 12 hours and measured again. Once the burn process is complete each loudspeaker is given a final detailed physical inspection before being packed. 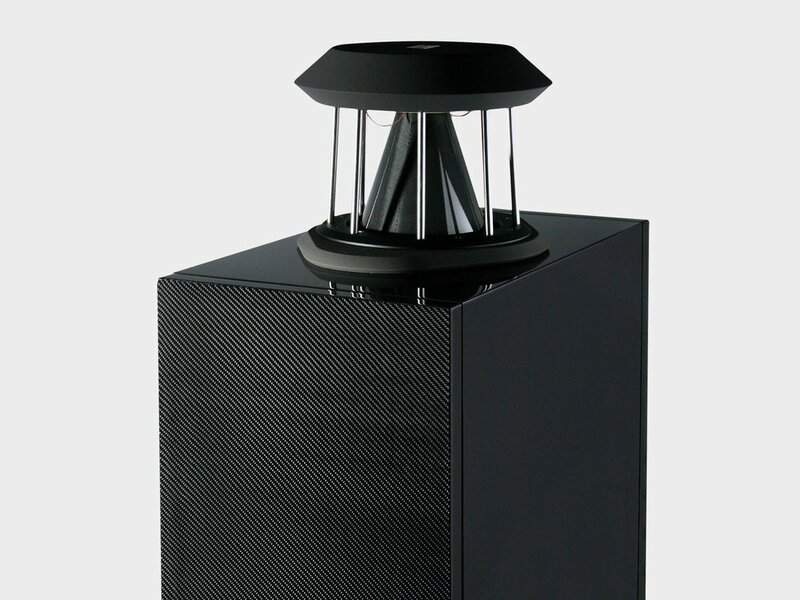 The PQS-402 loudspeaker is available in black or white high-polish polyester; a wide range of high quality veneers in both satin and high gloss lacquer; satin and high gloss automotive paint finishes and carbon fibre.